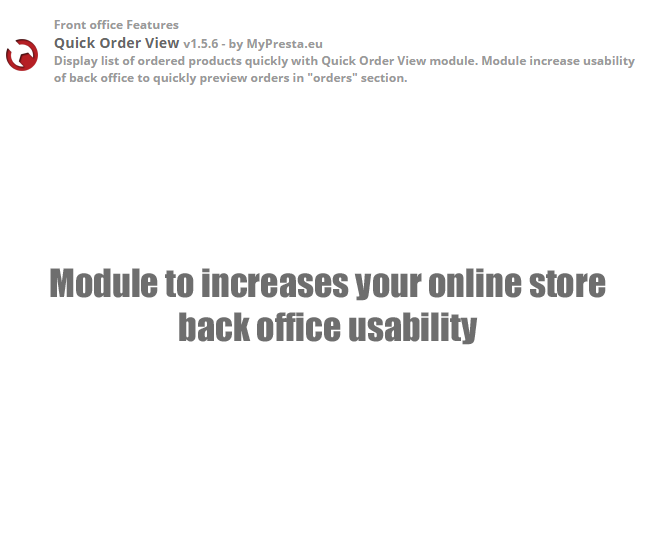 This is great improvement for your online shop back office. 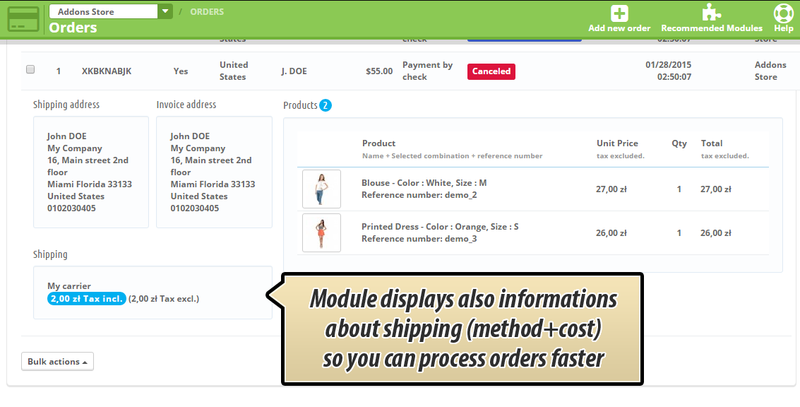 Module increases shop usability. 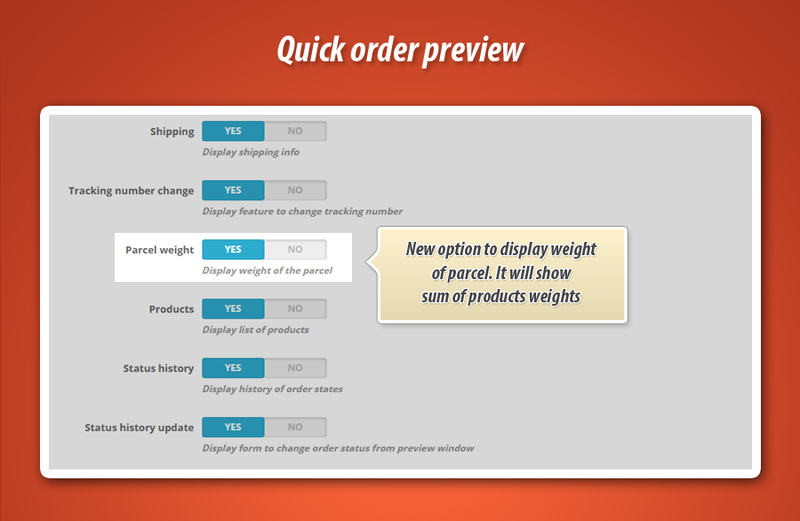 With this module you can quickly preview details of the order directly from the "orders" page. 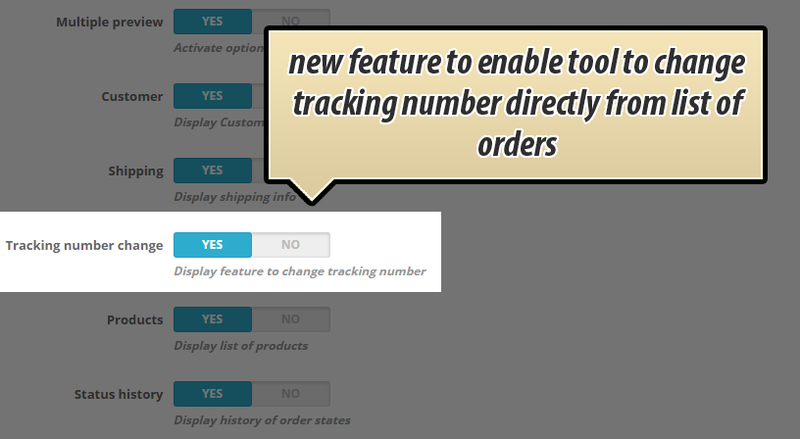 If you will click on the order, module will expand the details of the order. 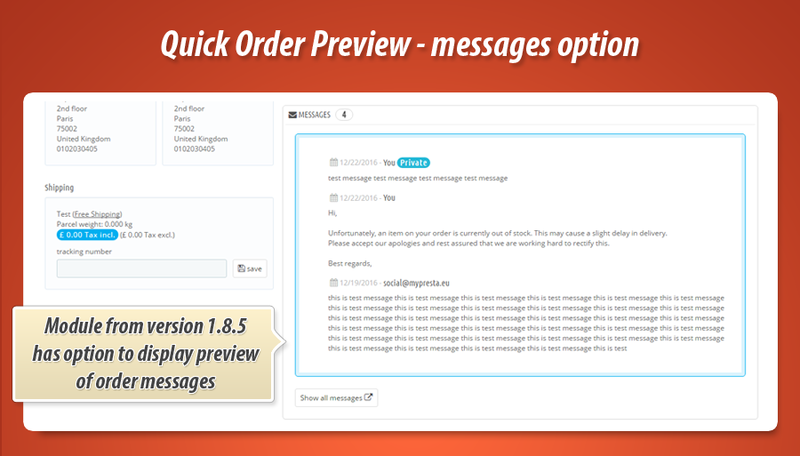 You can of course open the order details page too. 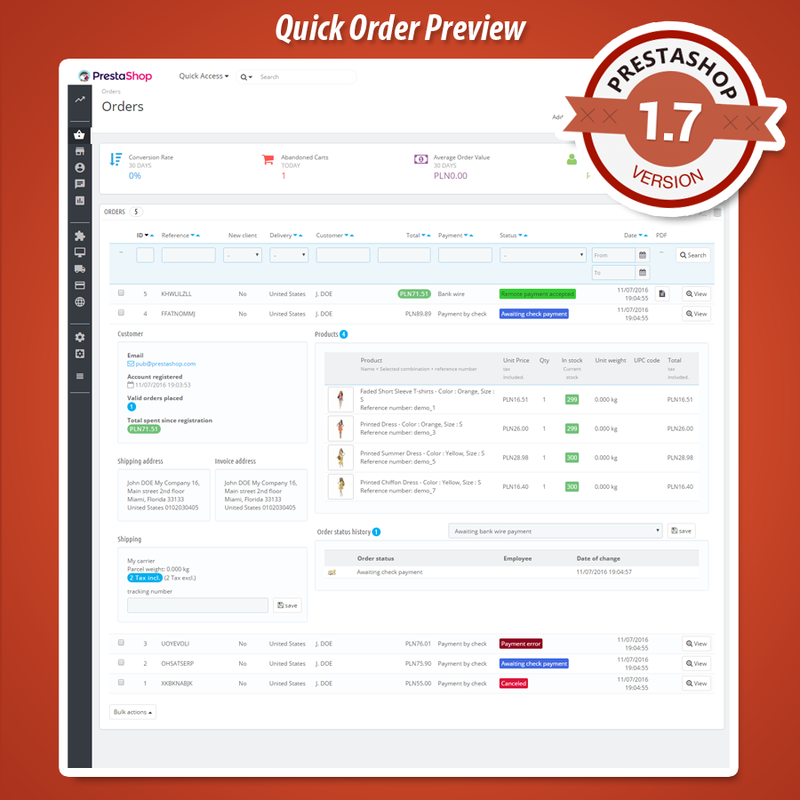 This PrestaShop addon adds new feature to your shop back office "orders" section. 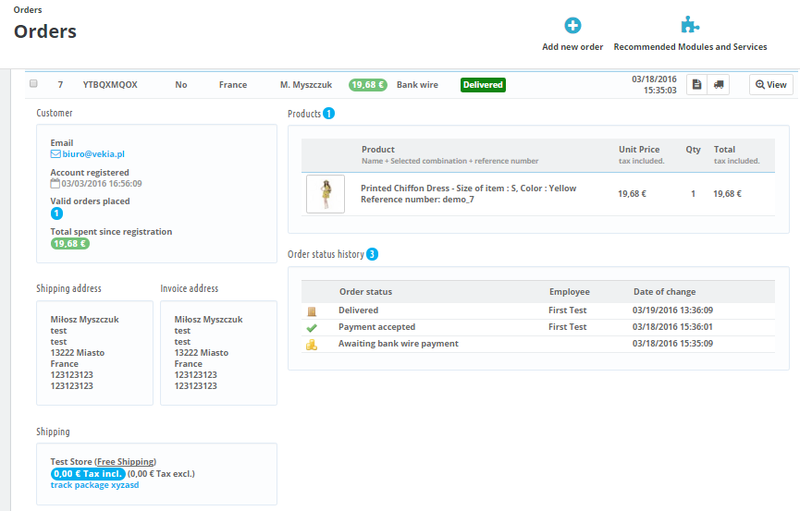 With this feature you can quickly preview the list of products that customer bought and see also delivery and invoie address. 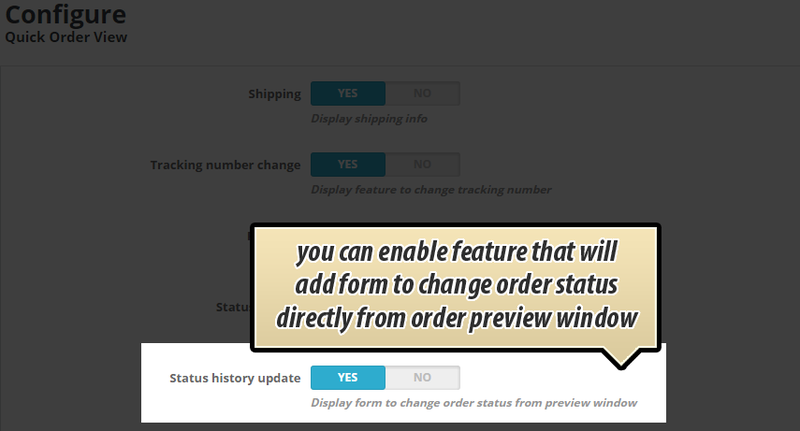 This means that this module allows to preview order quickly directly from your orders list. 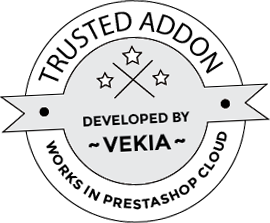 information about customization of products (if any) like custom text, custom files. 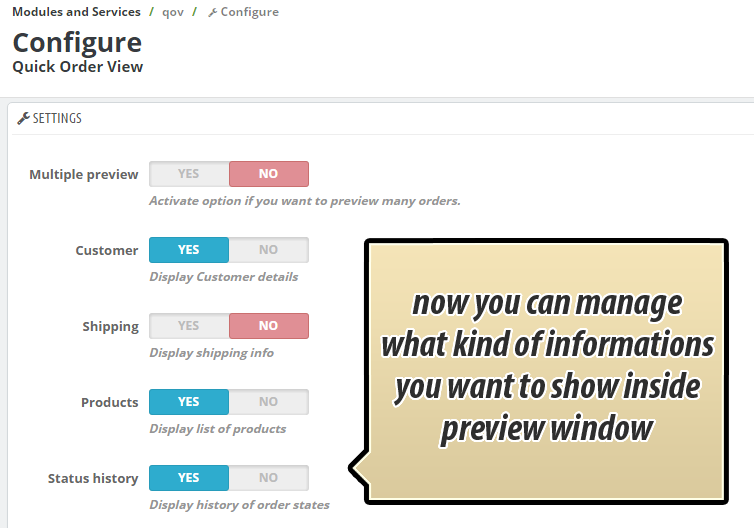 - added feature that gives you possibility to manage appearance of the informations inside preview tool.